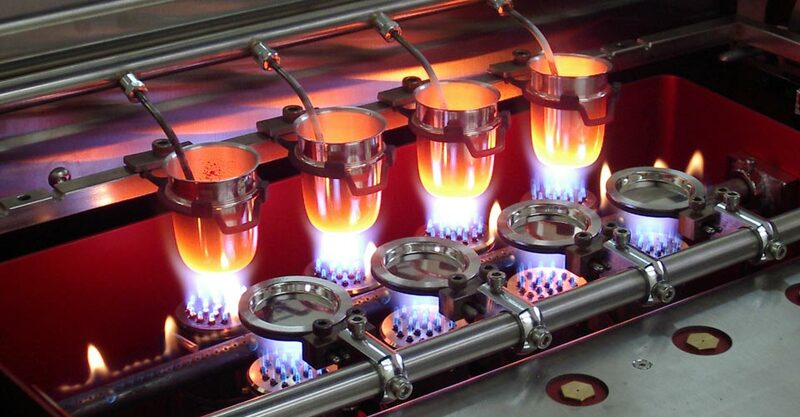 Tamilnadu Test House offers Testing in precious metal Like Gold and Silver By using Fire Assay method. Tamilnadu Test house also analyse the Gold and silver content in Nanotechnology samples, Collagen samples, Ayurvedic Products and Animal House study samples. Metal contaminations have been observed in drugs expected for use by people and creatures. Drug articles incorporate dynamic pharmaceutical ingredient (API), excipients, drugs and dietary supplements alongside their ingredients. Some metals viz. arsenic, mercury, cadmium and lead are lethal at low levels and ought to be checked to ensure safety of consumers. The source of metal impurities might be from those added to the process (such as catalyst) or those derived from the process itself, or maybe contaminants from input material or reagents. Method I This is used for substances which are soluble in water and produce clear, colourless solution. Sulphide reagent is added and the colour of the spiked sample is compared to that of the standard one for exceeding limits. Method II This method is used for aqueous insoluble materials wherein the solid sample is carbonized by heating with sulfuric acid after which the residual carbon is burned in a muffle furnace and the metals are extracted from this residue. This analysis is free from organic interference. Method III This method is used for solid samples, wherein they are digested in a mixture of sulphuric and nitric acids followed by oxidation with peroxide. We offer trace metals analysis in pharmaceutical drug substance and, drug products. , Also on dietary supplements of various types ranging from proteins and cytotoxic compounds to peptides and oligomers. TNTH trace metal analysis is in line with the new USP Heavy Metals general chapters and as per the client needs. We utilize the latest Inductively Coupled Plasma-Optical Emission Spectroscopy (ICP-OES), Graphite Furnace AA (GF-AA), Cold Vapour (CV) system for Mercury (Hg) determination technologies and microwave digestion sample preparation techniques in accordance with the standards set in the recently published USP Heavy Metals general chapters: USP (232), USP (233) and USP (2232). Our analysts perform Heavy Metals, Metal Catalysts and other trace elements testing on samples with low detection limits which are compliant with 21 CFR Parts 210 and 211 as well as the EMEA and ICH guidelines. TNTH provides Quantitative elemental & heavy metal screening on Class 1 elements, the “Big Four”; Mercury (Hg), Lead (Pb), Arsenic (As) and Cadmium (Cd), as well as Class 2 elements such as Chromium (Cr), Copper (Cu), Manganese (Mn), Molybdenum (Mo), Nickel (Ni), Palladium (Pd), Platinum (Pt), Vanadium (V), Osmium (Os), Rhodium (Rh), Ruthenium (Ru) and Iridium (Ir).